Sharpie Markers with an ultra-fine point mark on most hard-to-mark surfaces, and the mark is permane..
GenioWorld Bento Lunch Box Six Compartments can be Converted in to 4 Compartmentssize L..
A unique dual compartment insulated bag is what everyone desires for, be it a new mom who wants to c.. This cute backpack with attached safety harness is perfect for young explorers and travellers! Detac.. Pack your school essentials in style with the StarWars backpack. ..
Material: Using 600D Oxford material. This material can be waterproof and durable, safe and environm..
Dimensions : 28cm(L) x 28m(H) x 14m(W)Available Color: colorful Material: Made of fine .. 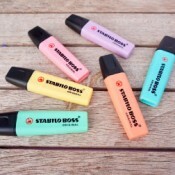 Brand new and high quality; Material: Waterproof Oxford cloth + cotton insulation+PVC Portable,.. The lunch box insulated cooler bag Kitchenware is manufactured by Genioworld and was added around Oc..
Insular Black Lunch Bag​ Stroller Organizer, Baby Lunch bag, Hanging Buckle Attaches Dire.. Description:Targeted Group : UnisexHandbag Type : Handbags SetsMaterial : PolyesterC..
Insular Green Lunch Box , Stroller Organizer, Baby Lunch bag, Hanging Buckle Attaches Dir..
1.This backpack is suitable for 0-3 years old toddle. 2. 21x8x26CM(8.3x3.14x10.23IN)[Height X..
Dimensions : 28cm(L) x 28m(H) x 14m(W)Available Color: Black, WhiteMaterial: Made of fine ne.. PRODUCT INFORMATION Brand: insular Color: Red Material Mixed Type: Strollers Bags/ Lunch Bag Ta..
Made by neoprene as diving material. So if the outside gets wet, everything inside of the b.. Feature:100% brand new and high quality. Quantity:1PC Material: Neoprene Size:30CM*29.. 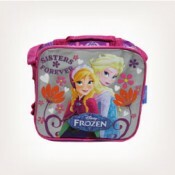 The perfect lunch box for children. Are you looking for a kid-friendly lunch box for the nursery or..
LookBack Two Tier Stackable Lunch Box-GreenEnjoy home cooking on the road with Lookback Two ti..
Dimensions: 19×11.2×10.5cm Leak Proof , Microwave Safe without lid and Cutler.. Targeted Group: UnisexBrand: GenioworldMaterial: NeopreneType: School BackpacksItem ..
Whimsical details and durable materials make this animal backpack the perfect pack for on-the-go! Me..
With friendly faces and matching zipper-pulls, Zoo Lunchies make lunchtime fun time! Sized just righ..
Made of polypropylene Plastic. Dishwasher safe (Top shelf). Freezer safe. ..
Leak-proof BPA and phthalate free water bottle Made from ultra clear nontoxic Tritan plastic wh..
Store your food items in the Sistema container. With the flexible seal, it secures your food from sp.. The Sistema Hydrate Quick Flip bottle is perfect for school, work, sports and picnics to keep hyd.. The Sistema® hydrate Tritan™ traverse has an effortless screw top lid with easy Flow opening, perfec..
"The Sistema® Hydrate Stainless Steel bottle is perfect for school, work, sports and picnics to keep..